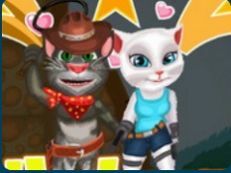 Are you in for another game for today? 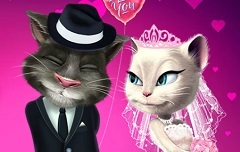 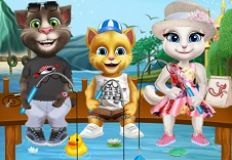 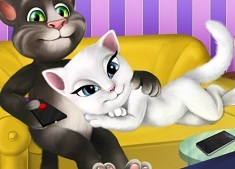 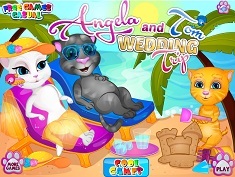 Well the next game that we have chosen to offer to you is a new and beautiful online game, a new game in which the main character is Talking Angela. 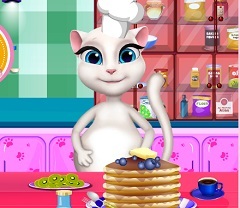 This new game that we have for you is a very beautiful online game in which the main character wants you to join her and give her a hand. 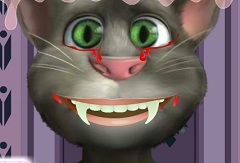 We have in this new game a version of Talking Angela vampire and she would like you to join her and have alot of fun together. 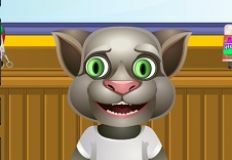 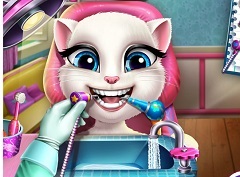 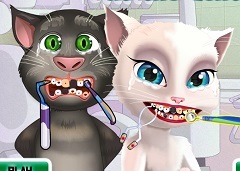 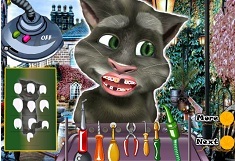 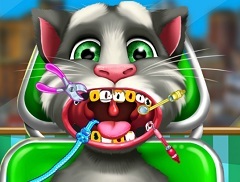 This new game is a caring game, a in which Vampire Talking Angela has decided to pay a visit to her dentist because her teeth are damange and she wants to see is they can be repaired. 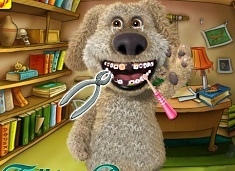 You will get all the medical tools that you need in order to take care of your friend and we are sure that you will have fun, as you are already familiar with the rules and you will manage to enjoy playing this new game that we have for you , here on games-kids.com, the website were all the fun starts with you by our side!